BE CAREFULL: I am just warned that there is a scammer active on the sales & wanted page. He reacts on the wanted adverts with parts he does not have!!! What’s new in last update: MKIV 18/005 owner details removed. MK3 9/665 owner details changed. MK2a second 7F469 added. MK1 7C118 new owner. Jomar 7C114 added. MK2 7B426 added. MKIV 18/042 new owner. MK2 7B289 added. We are happy to welcome you at our Grantura Registry and we are looking forward for your shared experiences and project(s) with all the other registered members on our website. By sharing your project status and technical advises, you support fellow Grantura owners worldwide, inspiring and stimulating others to complete their project(s) and share solutions to solve (technical) problems as well. Our aim is to create a registry that gives a clear view of the actual surviving Grantura cars worldwide. We are very interested in finding as many of these vehicles as possible. If you own one of these rare cars, or just know of the whereabouts of one, please send email (When you are the owner please send: Owners Name, Building year of the car, Type of Grantura, Production Number, Country, Digital photos and a little story about your TVR) to the Webkeeper so he may try to trace it down. We will treat the information supplied by owners as confidential by default. The online Registry will consist of an owner's name, and production number of his vehicle, and maybe an email address. The name, and serial number will be left as anonymous if the owner desires so. A spot will be left available for a picture and additional info if the owner desires so. For those interested in cars or parts for sale, We have a Sales&Wanted page. 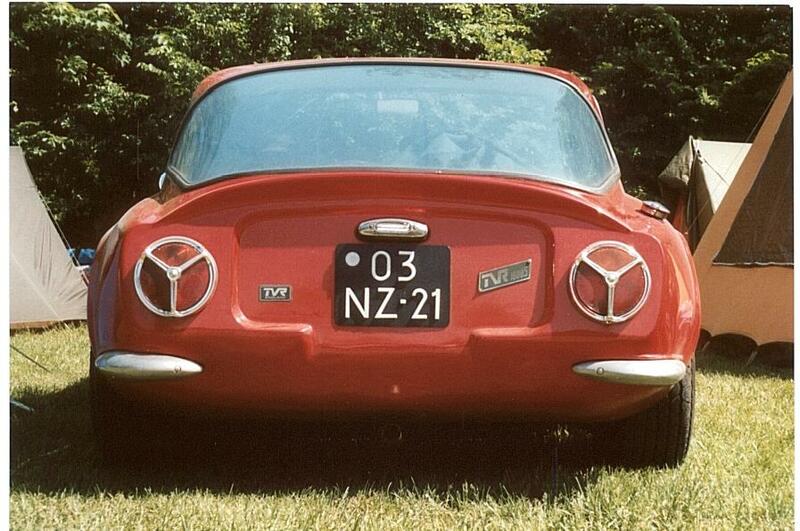 We also want to inform you about a related Facebook page, called ‘International TVR Grantura Owners Group’ which is only accessible for registered TVR Grantura owners, who are registered via our page. (administrator of the Grantura Registry) and you will be automatically redirected to the ‘International TVR Grantura Owners Group’.